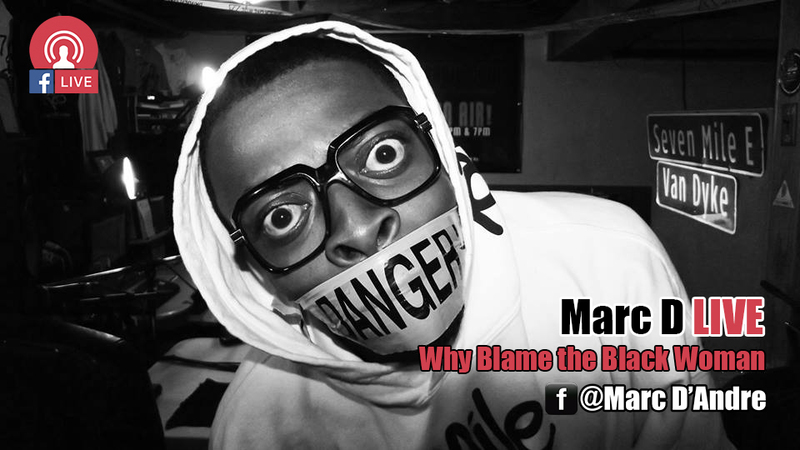 Marc D Live – Why Blame the Black Woman? While scrolling thru my time line on Facebook earlier i came across a photo of a man, a homosexual man who was dressed in a red mink. studded black latex leggings and his Sundays best church shoes (& no sox). The dialog in the comments on this was not about if him begin gay as wrong or right, but more so about blaming BLACK WOMEN for things like homosexuality, criminal activity, child support and other issues that plague the black community. Check out the live broadcast below and post your thoughts in the comment section.